There's nothing like being on the cutting edge! When you choose AMP Research products from New Level Motor Sports, you're getting the best that this design company has to offer. 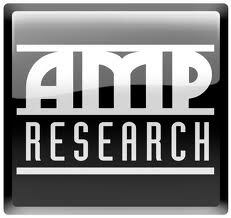 AMP Research products can help you improve the quality, function, and utility of your truck, car, and SUV. Take the time to look through our selection of AMP Research bed extenders, running boards, and truck bed steps. You want to get the most out of your vehicle, and you can do that with these quality AMP Research products. You can make your truck bed longer with an AMP Research Bed X-Tender, and make your truck more accessible with AMP PowerStep Electric Running Boards. Take the first step in making your truck everything you've ever wanted it to be. Haul more, have easier access to the cab, and take an easy step into the truck bed. It's all possible with the great products here at New Level Motor Sports.